What is hyssop (Hyssopus officinalis L.) ? 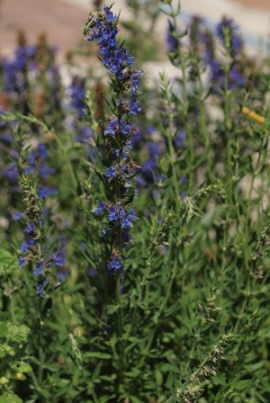 Photo of a hyssop plant. 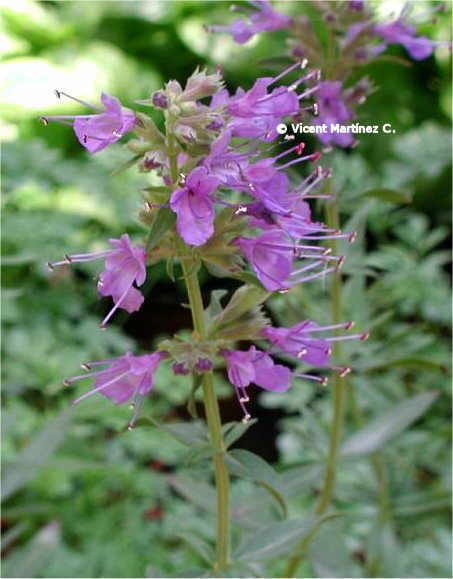 Hyssop (Hyssopus officinalis L.) is an aromatic perennial plant of the of Lamiaceae or Labiatae family. Measures just over 70cm. high. Its stem is erect, quadrangular, woody. Leaves are sessile, opposite, lanceolate or elliptical. Flowers in inflorescences of terminal spikes. The flowers are lipped, blue, purple or white pink. Tetra-achenes fruit with black seeds inside.